Damacio Diaz, 43, of McFarland, a detective with the Bakersfield Police Department was arrested today, charged with abusing his position of trust as a police detective when he conspired with and assisted a narcotics dealer in the operation of the dealer’s drug organization, announced United States Attorney Benjamin B. Wagner, FBI Special Agent in Charge Monica M. Miller, DEA Special Agent in Charge John J. Martin, IRS-CI Acting Special Agent in Charge Thomas McMahon, and Bakersfield Police Chief Greg Williamson. 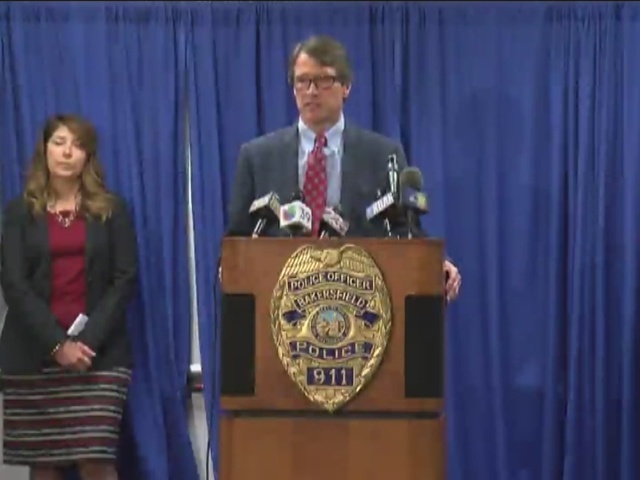 The charges are contained in a 16-count indictment returned by a federal grand jury Thursday. The indictment charges that Diaz, in exchange for bribes from the dealer, provided the dealer with intelligence on law enforcement practices and activities, disclosed the names and identities of police informants, tipped the dealer off as to police investigations, and attempted to provide the dealer protection from search, seizure, arrest and prosecution. The indictment also charges Diaz with bribery, retaining seized narcotics on multiple occasions for his own unlawful gain, disclosing contents of a wiretap investigation, and two counts of filing false tax returns. Diaz was a runner from McFarland who was portrayed in the Disney movie McFarland USA. Diaz's family started running for the team in 1987 and brought home 9 different titles for the school. Detective Diaz has been on paid administrative leave from the Bakersfield Police Department since this investigation was initiated. Diaz was asked to come into the BPD office on Friday November 20, 2015 and was arrested on the charges mentioned above. He was arraigned Friday at 2:30 p.m. in Bakersfield before U.S. Magistrate Judge Jennifer L. Thurston. On Friday, Diaz's bail was set at a $200,000 OR release agreement. According to count one of the indictment, from April 18, 2012, to February 20, 2015, Diaz conspired with a narcotics dealer to distribute methamphetamine. 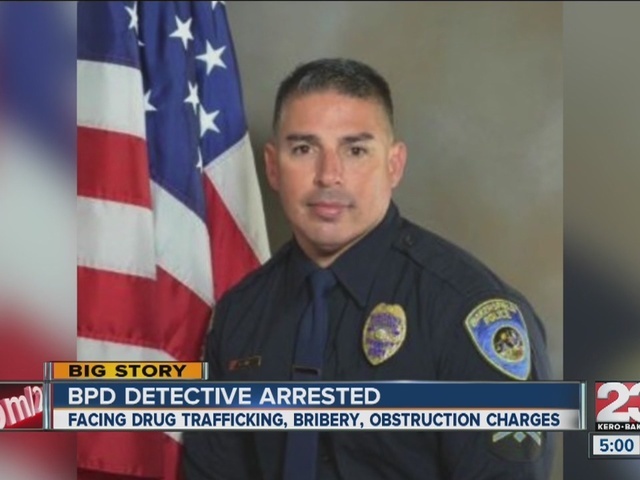 Counts two through four charge Diaz with accepting over $5,000 in bribes in each calendar year of 2012, 2013 and 2014 in return for being influenced and rewarded in connection with his official acts as a BPD police detective. Counts five through 13 charge Diaz with possession with intent to distribute methamphetamine, wherein, Diaz retained methamphetamine for his own personal gain that came into his care and control in the course of his duties as a BPD narcotics detective. Count 14 charges Diaz with the intentional disclosure of wiretap information in order to obstruct, impede or interfere with a criminal investigation. The indictment also alleges that Diaz filed false tax returns for tax years 2012 and 2013. This case is the product of an investigation by the Federal Bureau of Investigation, the Drug Enforcement Administration, the Internal Revenue Service-Criminal Investigation, and the Bakersfield Police Department. Assistant United States Attorneys Brian K. Delaney and Angela Scott are prosecuting the case. If convicted of the charges in the indictment, Diaz faces a maximum statutory penalty of life in prison for the conspiracy, 10 years in prison for each count of bribery, 20 years in prison to life for possession of methamphetamine with intent to distribute, five years in prison for each count of intentional disclosure of wiretap information, and three years in prison for each count of making a false income tax return. Any sentence, however, would be determined at the discretion of the court after consideration of any applicable statutory factors and the Federal Sentencing Guidelines, which take into account a number of variables. The charges are only allegations; the defendant is presumed innocent until and unless proven guilty beyond a reasonable doubt. Diaz's defense attorney, David A. Torres, said people need to remember he is innocent until proven guilty. “He is and was a hero in my opinion and he still is the same Damacio Diaz that he is. Just keep in mind these are allegations. He hasn’t been convicted,” said Torres. Diaz is due back in court in January of 2016.